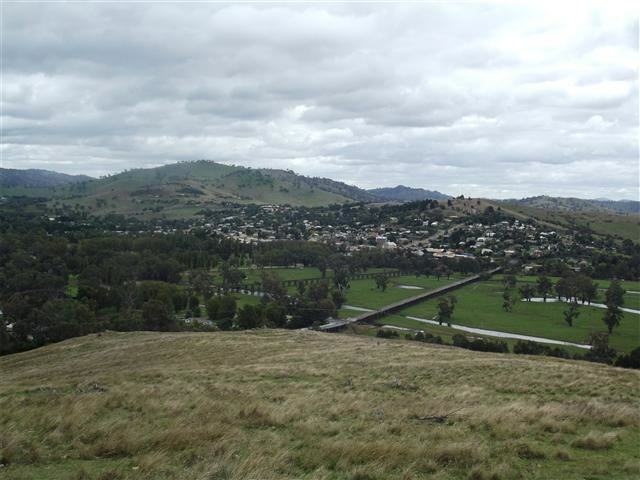 Gundagai is a small rural town located in the southwest of New South Wales on the banks of the mighty Murrumbidgee River. A town rich in history, a visit here is like taking a step back in time. 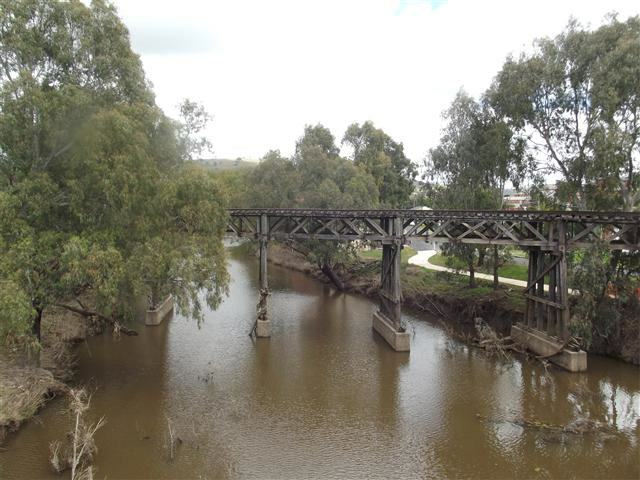 Part of the traditional land s of the Wiradjuri Aboriginal people, the first settlement was began here in 1829 and the town is well known for the number of bushrangers who frequented the area in colonial times. 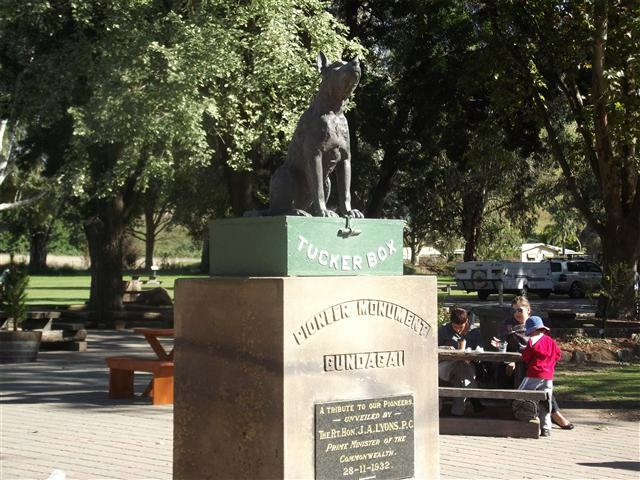 Outlaws such as Ben Hall, Frank Gardiner, and John Gilbert ranged throughout the area but Gundagai can lay claim to its very own home-grown, so-to-speak, bushranger in Andrew Gordon Scott, better known as Captain Moonlite. From a wealthy family he was as bad as any conman or robber in his day. We checked into the Gundagai Tourist Park ([star][star][star][star]) in the early afternoon and settled into our cabin. After some of the “budget” ones we’ve stayed in recently, this one is positively palatial. A quick drive into town to visit the information centre was next on our list and we were quite surprised at how good the town looked after the recent floods. Even though 99% of the floodwaters are gone there is still plenty of evidence of the flooding but the folks here have done a fantastic job of cleaning it all up. We had dinner that night at Lott’s Family Hotel in the main street in town. The food was delicious even though only standard pub fare but it wasn’t too long before the dining area was taken over by a large, and rowdy, family group and so we left early. 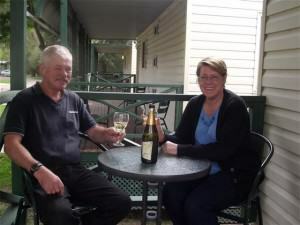 It was still daylight when we arrived back at our cabin and so we sat outside on the balcony with our bottle of Two Tails Sparkling Wine to toast our first night here but it had been a long day and it wasn’t long before we were off to bed. We awoke the next morning to absolutely freezing conditions and it’s not even winter yet. Don’t know if I’d like to be here in the winter, I’m not a snow-bunny! 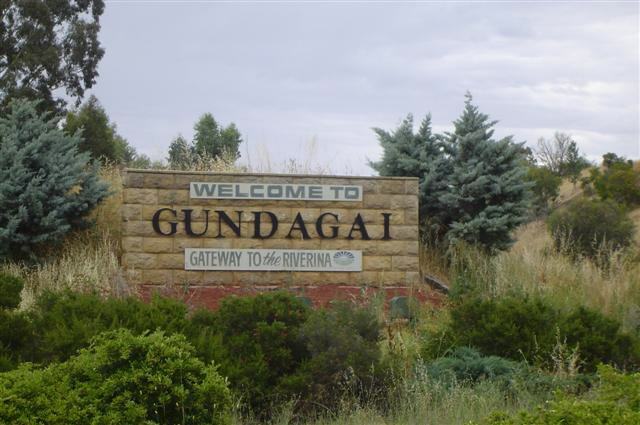 I hoped the day would warm up before we set off to explore Gundagai but it wasn’t to be and so, rugged up to the eyeballs we set off. Well, believe me, it didn’t take long; this town is not what you would call large but it is interesting. the longest railway bridges in the world at 819 metres long (2687 feet). The railway line reached Gundagai in 1886 and was closed a hundred years later in 1986. The railway station was built in 1885. Featuring the only slate-roofed goods shed in New South Wales, it is also the largest timber railway station in the state. Today the bridges are in disrepair although much restoration work has been completed by the Heritage Council, and the railway station is a museum. 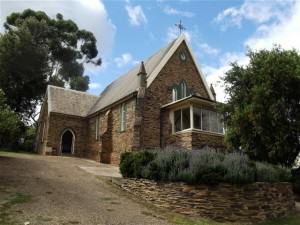 known as the “Plantation Cottages” and one of these, built in 1873, is thought to be the home of the first Anglican minister. The local catholic church, St Patricks, was built in 1885 and stands in the main street. 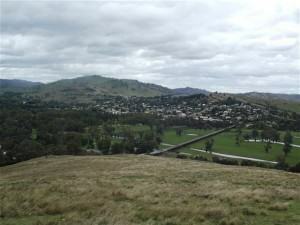 The wind had died down a little that afternoon and we set off for the Rotary Lookout in South Gundagai for some more outstanding views but I think Mother Nature was waiting for us to do just that and the wind returned with a vengeance. We’d stopped in at the local information centre on the day we arrived and now we decided to return and have a look at some of the remarkable historical pieces there. 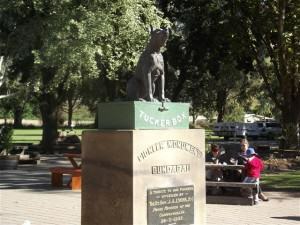 The centre is home to a magnificent marble masterpiece by monumental mason Frank Rusconi, the sculptor of the famous Dog on the Tuckerbox. This unique miniature cathedral is built from almost 21,000 individual pieces of marble, each piece cut, turned, and polished by hand. It stands at 1.2 metres (4 feet) high and took 28 years to build which is not surprising but what is surprising is that no plans or drawings of the piece have ever been found if, indeed, they ever existed. section is cast in bronze but the base was sculpted by Frank Rusconi and the monument was officially unveiled by then Prime Minister Joseph Lyons on November 28, 1932. The last time we visited here the “Dog” had been commercialized and it was so disappointing but they seem to have come to their senses now. Yes, there is a café where you can buy souvenirs but it really is just about our famous dog. As it should be.